How Vigilant Have You Been About Avoiding GMO's? Have Disease Rates Changed Since The Introduction Of GMO's? What Concerns You About GMO's? JEFFREY M. SMITH, Dr. Richard A.Oppenlander, Brian Clement Ph.D., L.N. What Happens If We Do Nothing To Stop The Spread Of GMO Foods? What Happens With Climate Change If We Don't Take Any Action Now? Why Should We Change Our Lifestyle If People Are Living Longer Than Ever? What Happens To Us If The Oceans And Forests Are Destroyed By 2048 As Predicted? What Should We Do To Stop The Spread Of GMO's And Global Warming? GMO's And Autism, Is there A Connection? Can't We Always Pull GMO Foods Off The Shelf If They Turn Out To Be Dangerous? 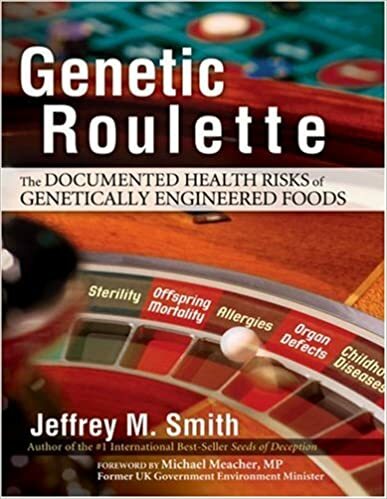 Jeffrey Smith is an international bestselling author, award winning filmmaker, Executive Director of the Institute for Responsible Technology, and the leading spokesperson on the health dangers of GMOs.